Seb Castle is a historical castle located in Sistan and Baluchestan province and has played a significant role in the region throughout its glorious past. The Castle gets its name from the nearby village of Sib. It is constructed of clay and mortar mixed in with sticky plant seeds thus contributing to the overall strength of the structure. In some parts wooden slabs made from palm trees have been used enabling to Castle to withstand the natural elements, in particular earthquakes, over the years. Seb Castle was the main location for governing the surrounding towns in the area such as Soran, Zaboli, Paskooh and Gasht and during various era took significant political importance. 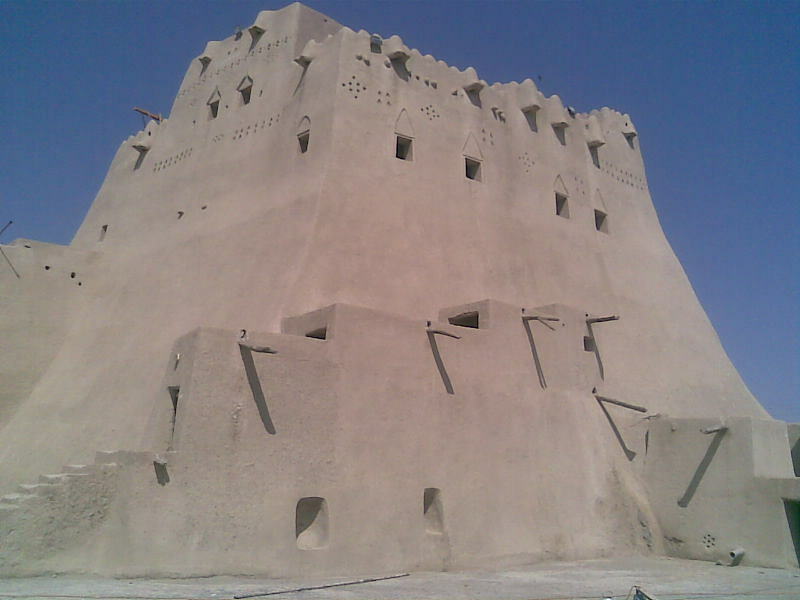 Historical evidence indicates that Seb Castle was the first location in eastern Baluchestan where Nasereddin Shah’s troops were sent in 1257 in order to gain control of the area. Seb Castle is one of the tallest castles in Iran and it is believed to have been constructed during the Safavid era. It has been renovated at least three times in various stages with some occasional additions. The main structure of the Castle is located on top of a not so tall rocky cliff which in essence eliminated the need for an artificial base or foundation. The Castle’s base is rectangular measuring 36 meters by 25 meters. As the Castle rises it becomes narrower and at its peak it is only 18 by 19 meters. The Castle’s height on its southern side is 23 meters although it only consists of rooms on two of its floors. Most of the empty space underneath the rooms has been filled with dirt leaving only one accessible route to the rooms. In addition a well has also been dug in the rock structure to provide water within the Castle. The well has been surrounded by a 10 meter brick tall and is accessible through the 1st floor. There has been speculation that there was also a larger tunnel leading to the bottom of the well which has since been covered or filled up. The second floor consists of six rooms, each a different size depending on its function. In most rooms shelves were built on the wall which acted as safes. The 1st room is a rather large salon on the west side of the Castle and was used primarily for meetings. On the outside of its southeastern wall is a short flight of stairs leading to a narrow opening in the wall at a height of 1-2 meters. This was evidently created so one could listen in on any ongoing meetings and prevent any plotting against the King. The second room is located on the northeastern side and adjacent to it is yet another room that is home to a secret tunnel leading up to the 2nd floor. From a safety standpoint the positioning of this tunnel was absolutely and strategically ideal as even those who had on occasion visited the Castle would have trouble finding this passageway. On the northern side there is a long room which was used as a kitchen and on its right is a hallway leading to a women’s restroom while opposite of it is the men’s restroom. To the left of the kitchen is a small room that was used for storage and also contained an oven. On the second floor the two towers are located on the north and south sides which give the Castle much of its appeal. Entering the 2nd floor one is initially faced with an open space with decorated one-meter tall walls. There are also three security posts for keeping watch and potentially shooting. From these three posts the entire surrounding area of the Castle can be observed. Scattered throughout the Castle are many other less elaborate posts giving a clear view of locations even within the Castle thus enhancing its security. Within the Castle’s yard are a number of other structures as well, most of them two stories high. Many of them were used by the Governor’s relatives, friends and servants while others were acted as storage space, prisons or to hold domestic animals. The wall encompassing the Castle and all of its accompanying structures stands at a height of 3 meters while its perimeter runs 48 meters by 74 meters. In recent years there has been some effort to keep up with the renovations necessary for Seb Castle with mixed results. While the reinforcement of the walls have been a welcome touch, however, replacing the doors and windows with wooden replacements does not seem like a wise choice. In addition to the higher cost associated with these replacements, they bear little resemblance to the original doors and windows. There is not a set schedule for interested visitors and often times tourists hoping to discover the interior of the Castle are faced with closed doors.